Creating a road trip pack list will make your life easier. Especially when you need to pack for everyone in the family. My suggestion would be to create a road trip checklist once and then keep adding to it until you feel that it is complete. Each trip might need slightly different road trip snacks and / or camping road trip essentials but once you have your basic road trip pack list, you can pick and choose what to pack for each road trip specifically. I started our list AFTER our first road camping trip so you can imagine how that first trip went…. This post contains affiliate links which means when you click the link and purchase something. You can read more about our disclaimer HERE. What to bring on a road trip depends on how long you go, where you go and in what season you travel. Usually, the longer you go the more clothes you will need unless you don’t mind washing once in a while. It also depends on what type of person you are: can you rough it a bit or are you in desperate need of good coffee in the morning and is a state-of-the-art camping coffee maker an absolute necessity (yes, that would be me. Find an AWESOME camping coffee maker below .Life is too short to drink instant coffee right. Click the image and simply order it! For me a GOOD coffee maker is one of my absolute road trip camping essentials! Won’t go without. Do you need to take road trip essentials for the entire family or are you travelling with some friends? In our case we usually camp with friends. This means the food is all shared because we are easgoing and usually one person just has a camping table and each person brings their own chairs. Let’s first start with luggage and clothes and then we will continue with the camping essentials and use my camping road trip packing list as a base. Check out our easy reference camping road trip checklist below. All the images are clickable and will take you to the Amazon site to find more information and order them. 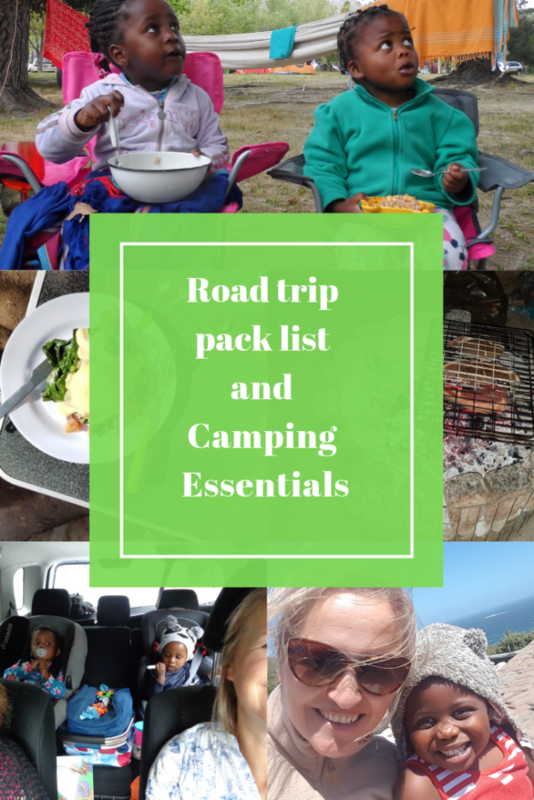 These are all my favourite camping and road trip essentials that I take on each and every camping road trip with Rosie. 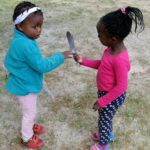 You can use this list of camping and road trip essentials as your starting point and then adjust it for your family size, needs and wishes. We are kind of light travellers which might not suite every family. I actually created the above list when a friend of ours was so excited to come camping with us at 22Waterfalls for the first time and she asked me what to bring for camping since she really had no idea. First of all, you will need to consider your luggage. Since this is about camping road trips, I would suggest soft luggage. My trusty Karrimor backpack goes with me everywhere where I need to rough it a bit. It has travelled with me from South Africa to Peru to Thailand, Cambodia, Madagascar and many countries in between, 42 to be exact and besides the fading colour, it still works perfectly well with all zippers in good shape and no broken straps. It totally makes sense to invest in a very good bag that will last you many years. What I like in particular about my backpack is that it doesn’t load from the top but you open it up completely with a front flap so that way it is much easier to find everything. It is more like a soft suit case where you can nicely organise all your things instead of just stuffing it from the top. On the left you see me hiking the Fish River Canyon Trail in Namibia with my blue Karrimor Backpack. See below an image of a similar backpack (I bought mine 15 years ago). What I love about this one as well. It zips a small day pack on the front, it comes with a strap cover if you need to take it on the air plane so that all the straps are safely tucked away. It is so super comfortable to carry which of course is very important. I hiked many different routes with this one and I could always fit everything in AND I was very comfortable carrying it. The straps can be easily adjusted, I’m short so I always need to adjust the straps. Road trip outfits need to be comfortable right? I don’t think I’ve ever gone on a road trip in a tight jeans or in a dress or skirt. Track suit pants, comfortable shoes or sandals, a nice t-shirt or jersey and off you go. I tend to always under-pack (= travel light) and wear the same thing all over and over. Maybe it is because it is still only me who has to carry everything and once Rosie is a bit older she can carry her own bag. What I can’t stand is dirty underwear or dirty socks so I will always bring the amount for the amount of days that we are away or a few more, just to make sure. On certain things I won’t compromise! Water sandals or shoes for both easy access to that beautiful river or waterfall and the shower facilities. I usually end up wearing my water shoes for the entire camping weekend because they’re just so comfortable and easy to clean. It sound obvious but believe it or not, I forgot my tent once and had to drive back to get it. I choose light weight of comfort because I live in a flat and always have to climb stairs up and down to pack my car. So light weight comes first and only then comes comfort in my list of priorities. Durability of the tent might be important to you but durability usually comes in the form of a heavy army tent. So our tent is small and light and no we can’t stand in our tent. In case you have more storage space at home and don’t need to run up and down stairs to pack the car, you might want to consider a bigger tent. We are only 2 sleeping in the tent. So for example, I camp with Rosie, the 2 of us but I have a 3 person dome tent so that my backpack fits into the tent as well. See the picture on the left. This tent is light, small and totally ideal for us. I can also easily put it up myself in case I’m only camping with Rosie and none of my friends are there to help. Soon Rosie is big enough to help though. We survived quite a few rain storms and we never got wet. Find here a perfect 3 person dome tent that’s ideal for a small family like ours. It is very easy to put up with only 3 poles. I’ve set it up many times by myself. In case your family is slightly bigger, you can find a 4 person dome tent here. (although the image looks smaller than the 3 person tent LOL). If your kids are a bit bigger, they probably want to stay in their own tent and have their own adventure so also keep that in mind when buying tents. This is where I definitely choose comfort over weight and bulkyness as I can’t sleep on a hard surface. For a couple of years I camped with one of those very flat mats, cheap and cheerful and I would just not sleep. So my mat is very bulky but boy it is worth it. Together with my very warm sleeping bag, I sleep like a baby and have no issues anymore. In case you’re an easy sleeping you can of course make a different choice but do think about it before you buy. In case you’re an easy sleeper and always warm, you can save yourself a lot of money when buying your camping essentials, that’s for sure. See below an image of the matt I use for camping. Yes very bulky indeed hey and unfortunately not possible to carry when you go on a multi-day hike like we did in Fish River Canyon and many other hikes. I didn’t even have a mat then and just slept in the sand next to the river. It rolls up quite easily and holds it all together with straps. It does take up a lot of space in the car as well as in my cupboard but this one I totally need to get any sleep and I won’t change. Luckily Rosie is a very easy sleeper up until now so she has a tiny tiny mat. When I expect it to be a bit chilly I will bring our sheep skin as well and put it underneath her to avoid getting all the cold from the floor. In case you can sleep anywhere, you have a LOT of options to find the lightest and the smallest. Have a look at the below picture and click through for more information. It looks tiny and comfortable and is the choice of many. To decide which sleeping bag for camping to buy, it is important to ask yourself in which weather conditions you will be using this sleeping bag. When I bought mine, I knew I was going to use it for multiple day hikes and at the time I was planning my trip to hike Machu Pichu in Peru AND I still had the ambition to hike the Kilimanjaro. I’m always cold so I truly invested in the warmest sleeping bag I could find. 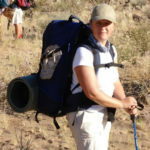 It is already quite old by now and at the moment a friend of mine borrowed it for her hike in Fish River Canyon in Namibia which is also very cold. It was SOO worth it to spend a couple of 100 euros on this sleeping bag. Honestly, at both Fish River Canyon and the Inca Trail, I was the only person that was warm and slept very well. So I was grateful for that insight. There are some super cute sleeping bags for children on the market. I’ve never been able to figure out if my daughter was actually warm when she was little so I always made sure to have an extra blanket and I made her sleep on our sheep skin throw which is the warmest thing you can imagine. Camping should be fun and kids often love it more than adults. It is fun to get the kids some cool gear and fun sleeping bags. It is also easier to get them into bed when you still want to sit around the camp fire with a glass of wine.Here’s a fun one that we found for girls which comes with a bag so your child can start learning to pack her own bags. Click on the image or this link out prices and more info about this sleeping bag. The first time I went camping, I didn’t bring a table and lucky us there were big picnic tables at each camp site so we didn’t need one. So it is not always necessary to have your own table and you can double check with your camping booking what is actually at the camp site. In South Africa we have some truly amazing camp sites, often well equipped and certainly always a BBQ area so that you only need to bring your grid. On the left you see exactly the table that I bought and I’m super happy with it. I don’t need anything else for now. Click on the image for prices, more info and to order. Chairs come in all sizes and comfort. I enjoy the ones with a little side table to comfortably sit around the fire with a glass of wine and a plate of food. This stylish full back camping director’s chair easily folds away weights about 10 LBS. Click the image on the left to check prices and for more info. A road trip without a cooler box is not a proper road trip. Since you will be spending quite some time on the road and access to a petrol station where they sell snacks might be 100 km away, a cooler box belongs to the absolute road trip essentials. Fill the cooler box with road trip snacks like: apples, prepared sandwiches, biltong (if you’re not South African ask me what that is, LOL), crisps, chopped up cucumber, carrots, cookies and whatever you like. Click on the image on the left to order this cooler box or find other models that suite you better. How to keep the kids entertained is ALWAYS the big question for many parents when they go on a road trip. 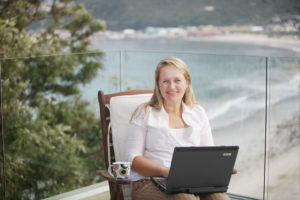 I’ve experienced that if you start travelling from when the children are still very young and you keep them busy by looking at and talking about things outside, you can ACTUALLY have children that don’t want to be on the tablet the entire day (she’s only 5, am I being naive?). Yes a table can be an easy and cheap baby sitter but I do believe that we will pay for it later when the kids are older and lack certain social skills or can’t enjoy nature and all the beauty there is to see from the car window. So having said this, we DO play music in the car and currently this is a CD with lovely isiXhosa songs because we are trying to learn the language. Rosie also has a small little fake lap top that she enjoys to play with. At the moment she enjoys most having a pair of scissors and just cutting up all the pieces of papers she can find, or is this very irresponsible parenting, having a 5 year old with scissors in the back of the car??? I have no idea. So far so good. And I’ve noticed Rosie looks outside to SEE: the horse, the cow, the beautiful cloud AND she notices cars especially if it is the same one like ours, she will shout it out. Driving anywhere with my daughter has become an absolute pleasure and no drama at all. If we stop at a Wimpy once in a while she’s the happiest kid on the planet. I have a wonderful travel companion. However if ALL fails you might want to have a plan B and DO take a tablet with some great apps on there. On long road trip the kids do get bored at some point so make sure to have some travel games for them, some colouring books and perhaps some other toys that are easy to take with and are age appropriate. Certain things you have to have in your car to ensure a safe road trip and you can’t find these easily on the road. 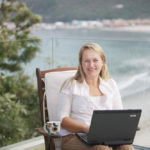 some extra petrol for in case you might run out (rule of thumb: fill up once the tank is half empty if you drive cross country in countries like South Africa, Namibia or Botswana). Please also always have at least 10 litres of drinking water. Although you might happily snap away on your phone, a camera comes in handy when your phone is needed to actually make calls and perhaps to navigate the route. Only once I invested in a big camera but already noticed that I didn’t enjoy taking it along. I love compact stuff and a camera should be small. I still have a little digital camera that Rosie can now play with and it is good entertainment and practice for the kids. Traveling on the road for many hours in a row can make you feel dirty, dusty and sticky. I always keep a small toilet bag in my hand bag to make sure I can refresh myself if need be. A good lip balm is essential and so is good sun cream, body / hand lotion and I always have some mint to feel fresh and it gives a bit of a kick too on those looooong road trips where you just want to get to your destination before dark. 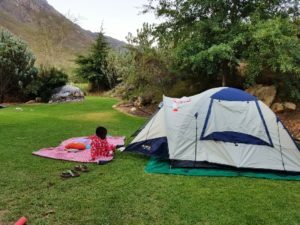 When we go camping, we usually go for 2 or 3 nights a couple of hours from Cape Town in the middle of nowhere so besides getting fire wood and ice blocks at the camp site, we take everything for the 3 days. That means we won’t have a chance to do any groceries since the shops are usually far out. I’d like to believe that I’ve mastered the skill of stocking up on really good food without compromising on quality. Here is my grocery list for camping. Disclaimer: PlanetPilgrims participates in the Amazon Services LLC Associates Program, an affiliate advertising program designed to provide a means for sites to earn advertising fees by advertising and linking to amazon.com and its partners. Amazon and the Amazon logo are trademarks of Amazon.com, Inc. or its affiliates. Thank you for supporting PlanetPilgrims in becoming the best online resource for solo travelling parents. This entry was posted in Blog, Packing lists. Bookmark the permalink.